Newton's first law of motion predicts the behavior of objects for which all existing forces are balanced. The first law - sometimes referred to as the law of inertia - states that if the forces acting upon an object are balanced, then the acceleration of that object will be 0 m/s/s. Objects at equilibrium (the condition in which all forces balance) will not accelerate. According to Newton, an object will only accelerate if there is a net or unbalanced force acting upon it. The presence of an unbalanced force will accelerate an object - changing its speed, its direction, or both its speed and direction. Newton's second law of motion pertains to the behavior of objects for which all existing forces are not balanced. 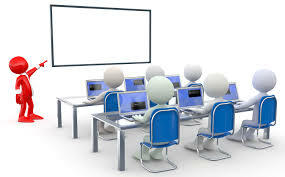 The second law states that the acceleration of an object is dependent upon two variables - the net force acting upon the object and the mass of the object. The acceleration of an object depends directly upon the net force acting upon the object, and inversely upon the mass of the object. As the force acting upon an object is increased, the acceleration of the object is increased. As the mass of an object is increased, the acceleration of the object is decreased. Can you define Newton’s Second Law of Motion? Newton's Second Law of motion states that the rate of change of momentum of an object is proportional to the applied unbalanced force in the direction of the force. 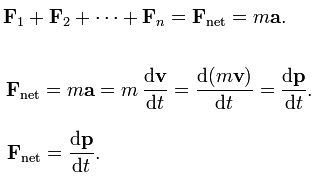 Where F is the force applied, m is the mass of the body, and a, the acceleration produced. What will happen if a body is subject to multiple forces at the same time? If a body is subjected to multiple forces at the same time, then the acceleration produced is proportional to the vector sum (that is, the net force) of all the individual forces. Therefore, Newton's Second Law also states that the net force acting on a body is equal to the rate of change of momentum of the body. How does momentum affect the net force? The First Law of Motion indicates that when an unbalanced external force acts on an object, its velocity changes, ie., the object is accelerated. 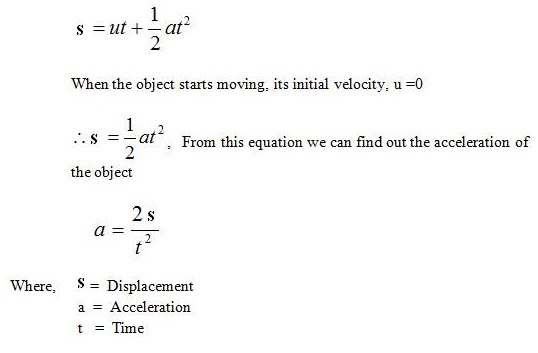 Now, let’s study how the acceleration of an object depends on the force applied. Consider the example. A car at rest does not require much attention when parked along a road side. But the moving car, even at a low speed, may kill a person standing in its path. A small mass, such as a bullet may kill a person when fired from a gun. From these examples it is clear that the impact produced by the objects depends on their mass and velocity. When we combine the mass and velocity of an object, we get another quantity called momentum, which was introduced by Newton. Momentum has both direction and magnitude. Its direction is the same as that of velocity. When an unbalanced force is applied on an object, it changes the velocity of an object, which in turn changes its momentum. So, it is concluded that the force necessary to change the momentum of an object depends on the time rate at which the momentum is changed. 1. Arrange the apparatus as shown in figure. 2. A suitable mass is hung on the weight hanger. 3. Release the weight on the weight hanger. 4. Start the timer to record the time of travel of the cart as it starts moving. 5. Note the distance moved and the time taken by the cart. 6. Calculate the acceleration of the object by equation a= 2S/t2. 7. Calculate M2g and (M1+M2)a. 8. Hence Newton’s Second Law is verified. Calculate M2g and (M1+M2)a. It is found to be same. Hence Newton’s Second Law of Motion is verified.